PARIS: The management of the Grand Mosque of Paris here has expressed its interest to obtain the Malaysian Islamic Development Department (Jakim) halal certificate as recognition for its slaughtering centre. Deputy Prime Minister Datuk Seri Dr Wan Azizah Wan Ismail said the interest was raised by the mosque’s rector, Dr Dalil Boubakeur when she visited the mosque on Tuesday. “In the meeting with Dr Dalil Boubakeur which was also attended by Mufti Dr Khaled Abou Taleb and Mufti Cheikh Bozidi today, the subject of seeking Jakim’s halal recognition and certificate for the mosque’s slaughtering centre was brought up. “They said their abattoir had complied with all procedures set by Jakim and want Jakim to give accreditation and recognition to their slaughtering centre,” she told Bernama and RTM here on Tuesday. Dr Wan Azizah said she told Dr Dalil Boubakeur the interest would be conveyed to Jakim for further action. Asked on the duration for Jakim to implement matter, the Deputy Prime Minister said it depended on the department which would want to see for itself the centre and monitor the slaughtering process. “The mosque has its own certificate but they want recognition from Jakim as they believe the credibility of Jakim which is very assuring,” she said. 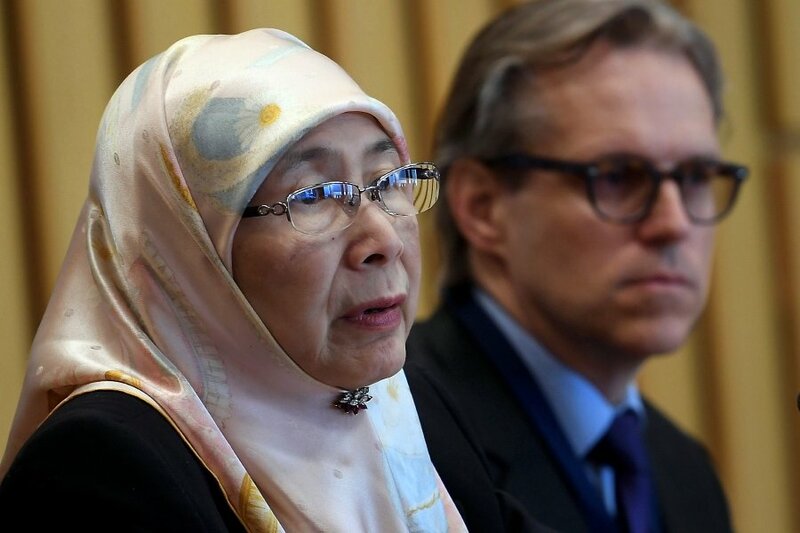 Dr Wan Azizah, who is currently on a four-day visit to France starting on Sunday, spent about 40 minutes touring the largest mosque in France and performed her prayers there.